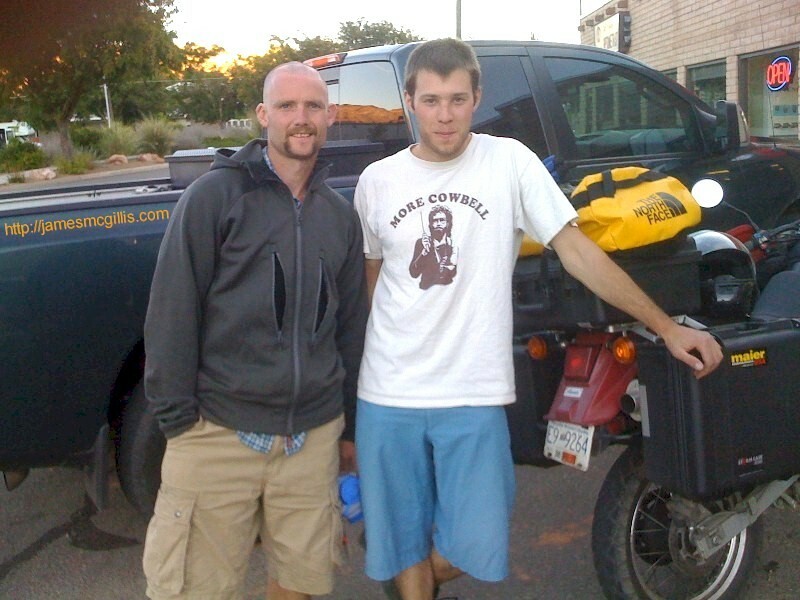 On October 6, 2008, I met Dan Burns and Shane Pierce at the Laundromat in Moab, Utah. They and their friends, Riley Beise and Brendan Hutchinson were completing a shakedown ride, prior to taking off for road’s end at Ushuaia, Patagonia, Tierra del Fuego, near the southern tip of Argentina. All of the BC Buckaroos, as they call themselves, hale from the towns of Hazelton or Smithers, which are located in remote Northeastern British Columbia, Canada. 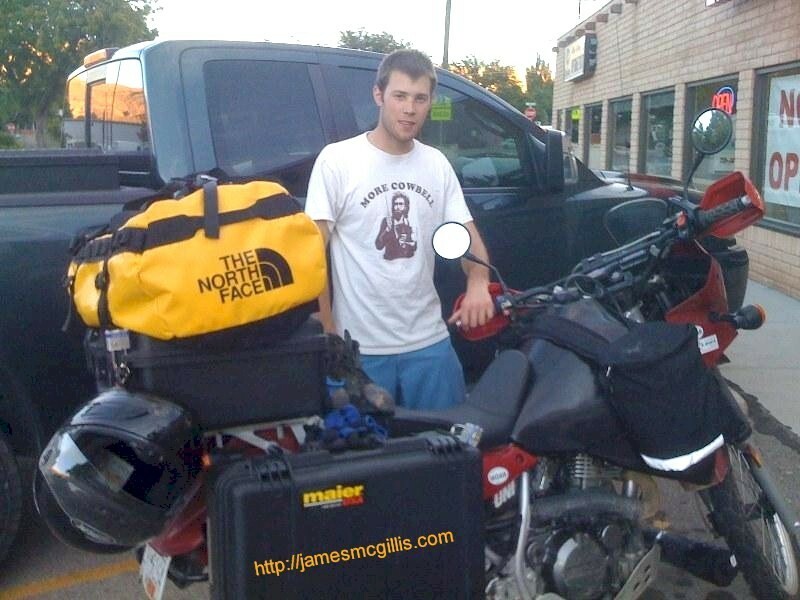 Some might think it is foolish or even a bit crazy for these four young Canadians to ride their Kawasaki KLR 650 motorcycles from the far north to the far south, covering a distance of 8100 miles (13,000 kilometers). The BC Buckaroos trip is self-financed and self-supported, meaning that they have only themselves and their financial reserves to carry them forward on their ultimate KLR road trip. As Dan tucked his clean clothes into the waterproof North Face duffel bag mounted on his bike, I asked him why they are making this trip. “We are doing this ... we are not really too sure, but we want an adventure, and are excited to see how another part of the world lives. We are looking to broaden our awareness of the other cultures to the south”, he said. The BC Buckaroos had stopped in Moab to get their bikes tuned for the road by Fred at Arrowhead Motorsports. Dan emphasized how grateful they all were for Arrowhead’s help in getting the bikes ready for the big ride. On October 13, 2008, I received a quick update from Dan, stating, “The USA has been great. We are now in Douglas, Arizona making a few last minute stops and getting ready to cross into Mexico tomorrow." From the remote towns of Central and South America, communications via the internet are spotty at best, so it will be interesting to hear where the B.C. Buckaroos are, now that it is late November. Things have changed a lot in this world since January 1952, when an unknown 23-year-old Argentine medical student took off from Buenos Aries for an 8100-mile (13,000 kilometer) tour of South America on a sputtering 1939 Norton 500 motorcycle. 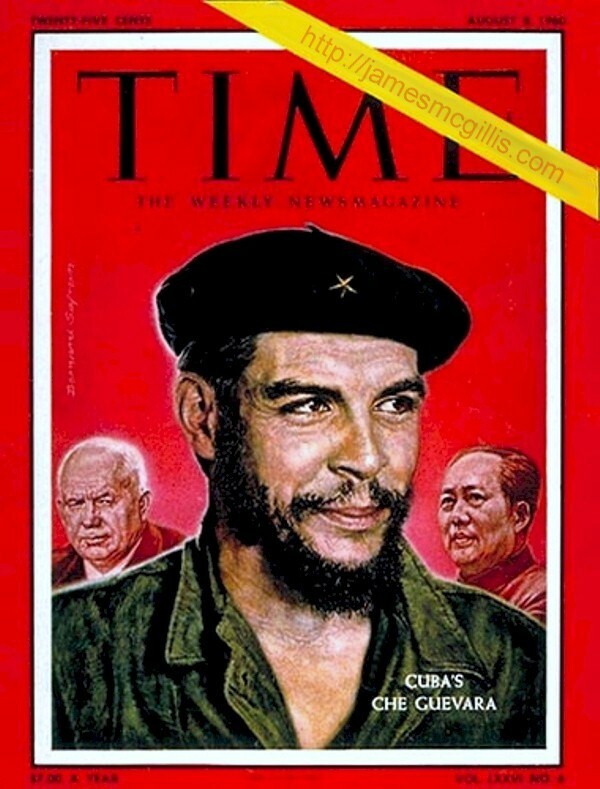 In those days, Che Guevara’s unreliable “one-lunger” and pigs in the road were the biggest threats to his safe return. 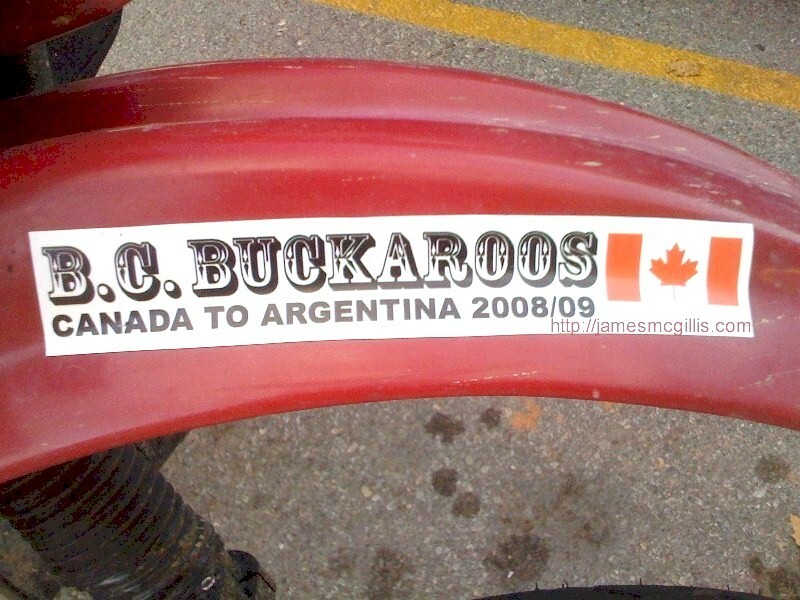 Today, in a world where Somali pirates range as far as the Indian Ocean to hijack an oil tanker loaded with two million barrels of oil and over three hundred people die in the Tijuana, Mexico drug wars in less than six weeks, we wish the BC Buckaroos Godspeed. And watch out for pigs in the road.